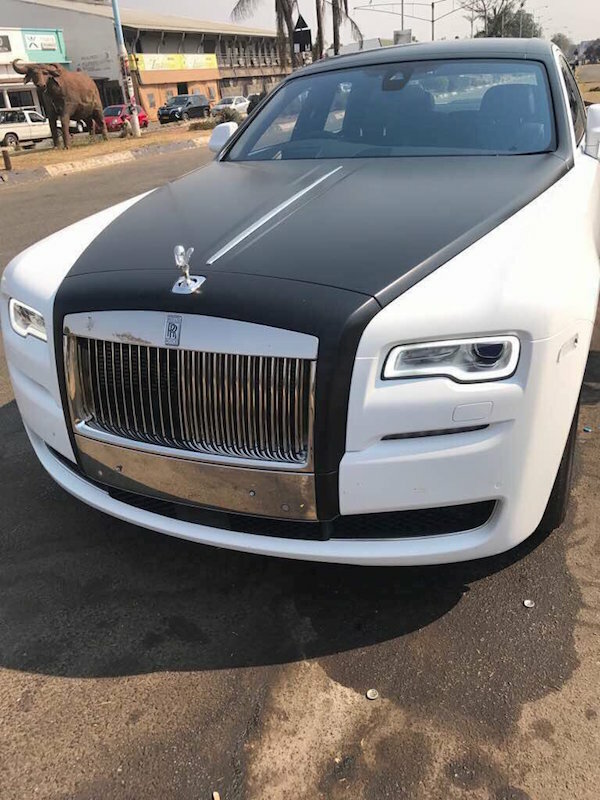 The eldest son of Zimbabwe’s first lady Grace Mugabe has imported two Rolls Royce limousines into the bankrupt country. Russell Goreraza, 33, offloaded the two luxury cars at Harare International Airport from a plane belonging to the Dutch airline KLM on Sunday. In the video below, Goreraza is seen celebrating with friends after the arrival of the exotic vehicles. According to IOL in Zimbabwe, another car – this one an Aston Martin – is due to arrive in the capital shortly. Rolls Royce Phantoms cost a minimum of just under £400,000, but custom-built versions are sold for as much as £1 million. Media in Zimbabwe are reporting the combined cost of the cars as about £4 million. It comes as Zimbabwe is in a terrible financial position, owing huge debts to South Africa.